Upon my arrival and to my utter delight, both pregnancy and ovulation tests were readily available. The pregnancy tests were behind the counter while the ovulation kits were displayed up front. The cashier must have read my mind and offered the following explanation: The pregnancy tests are a popular item among teens who attempt to steal them. And the ovulation kits are displayed in front of the cash register because “teens are not trying to get pregnant.” It made perfect sense. 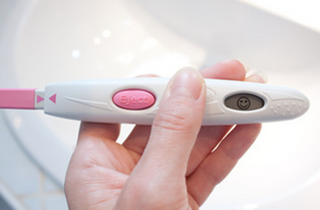 And just like their pregnancy test counterpart, the ovulation tests are 99% accurate. Quality and at affordable prices. Who would want to pay more?